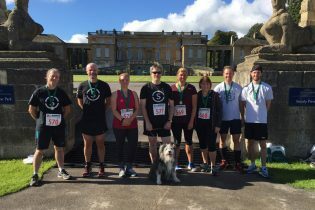 Our team of eight completed the very scenic course at Bramham Park on Sunday, raising money for Cancer Research on the way. 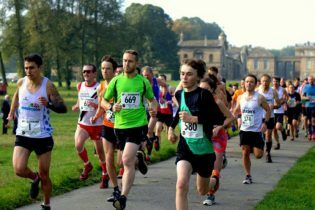 This is our second year taking part in the event and our mixed team of competitive fitness obsessives – and the rest of us – enjoyed both the beautiful weather and autumnal setting of the cross country course. It was a slightly smaller team than last year, our training schedules having been interrupted by an extremely busy summer and a significantly larger sporting event in Rio. That’s our excuse anyway. The unofficial Stage One ‘Battle of Bramham’ was won by Materials Engineering and R&D Director, Edwin Stokes who apparently finished in the top ten. We await official verification. Mechanical Design Engineer, Gemma Webster also put the rest of us to shame. She completed the Fun Run then went off to play a rugby match with York RI Ladies, scoring tries and conversions to help them beat Acklam Avengers 92 – 0. If you’d like to make a last-minute donation, please visit our Just Giving page. If you fancy joining us next year, please follow the link for more information. Well done to all who took part, see you in 2017!